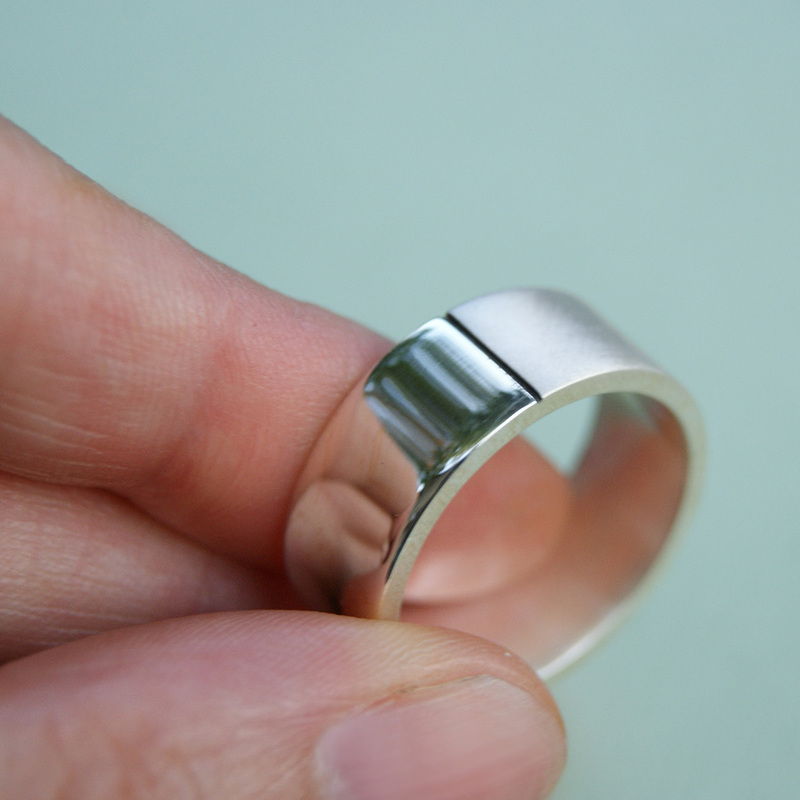 Band is just over 1/4th of an inch wide. 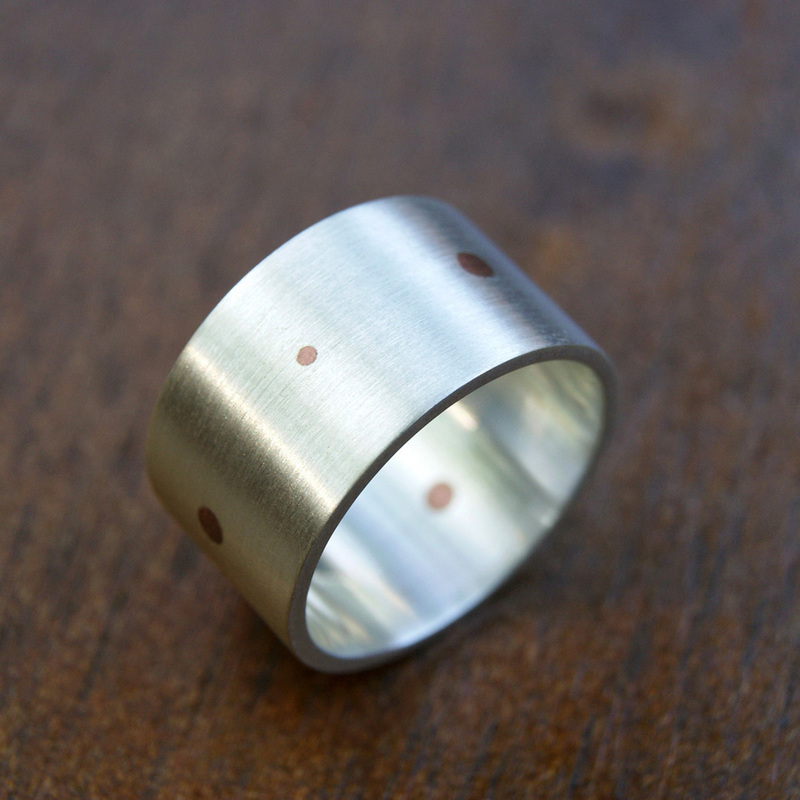 This ring is constructed with 12 gauge sheet metal which makes for a thick and weighty ring. 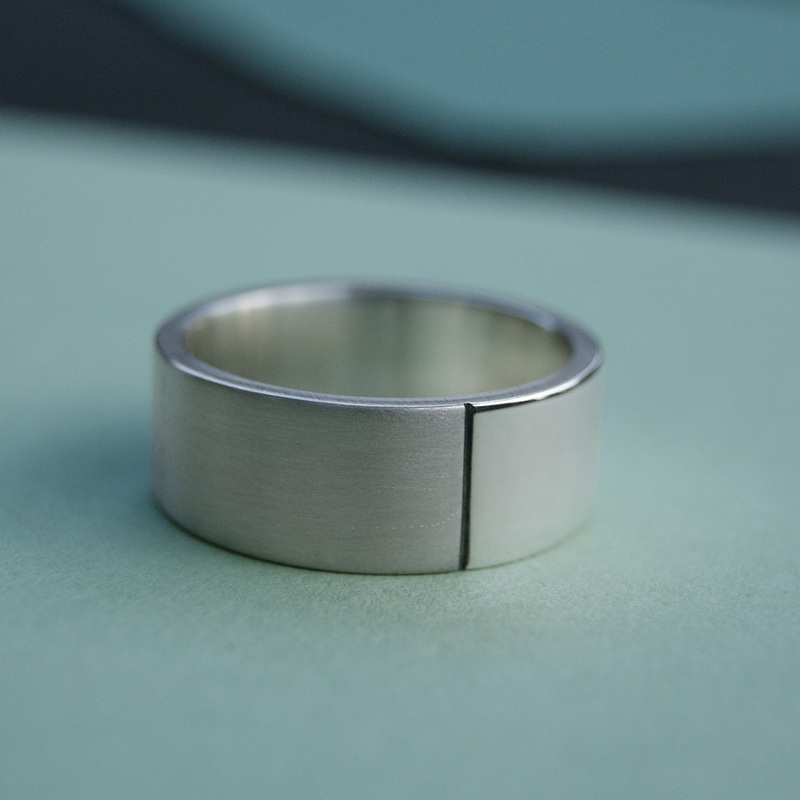 Can’t decide whether you prefer a shiny finish or a matte finish on your silver? 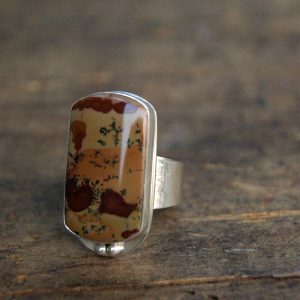 Well, with this ring you don’t have to because you get both. 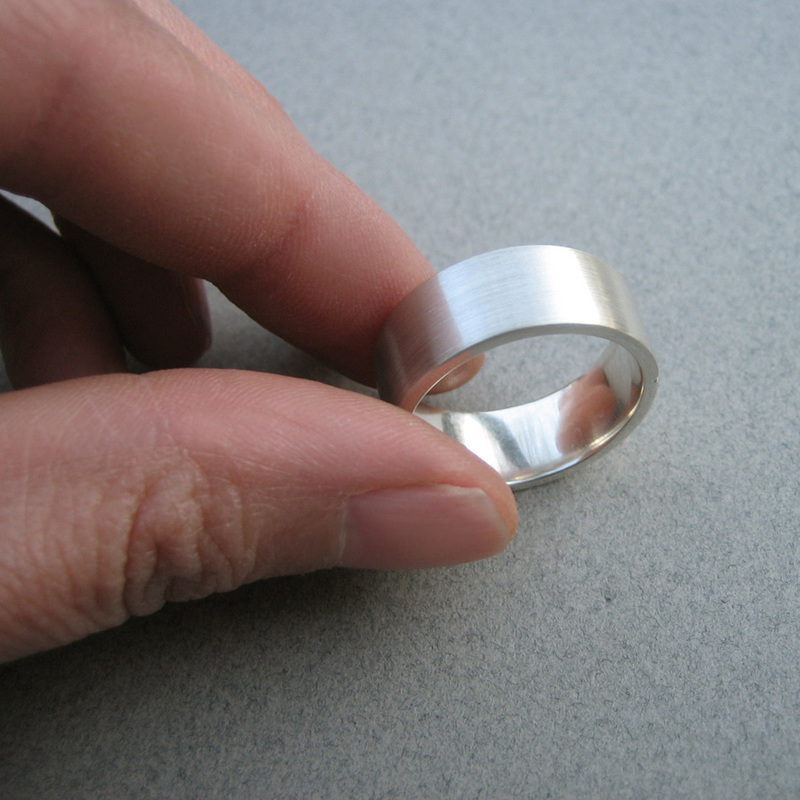 Half of ring has a shiny surface, half has a matte surface. 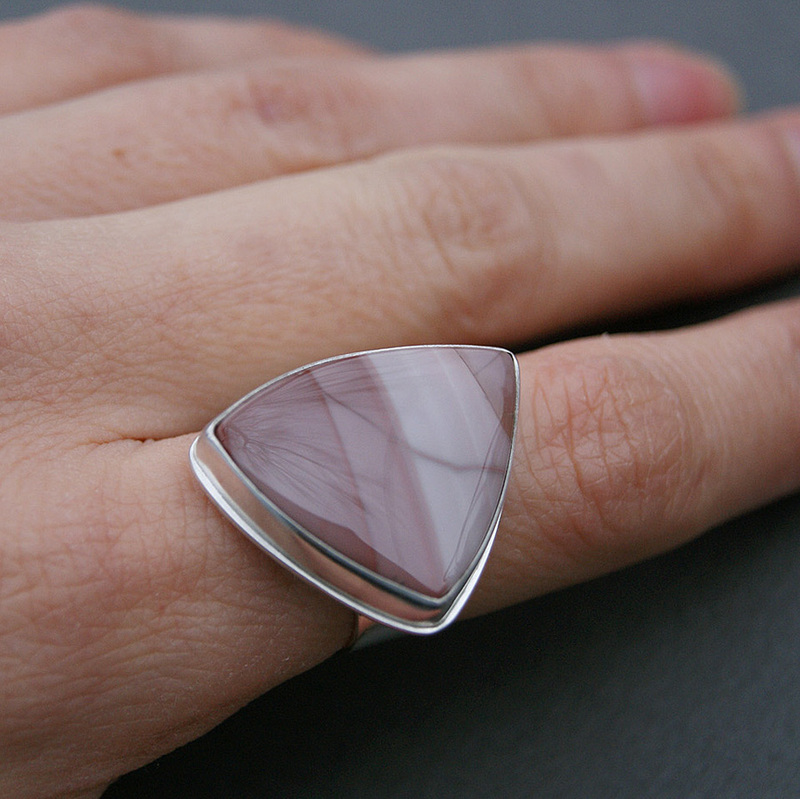 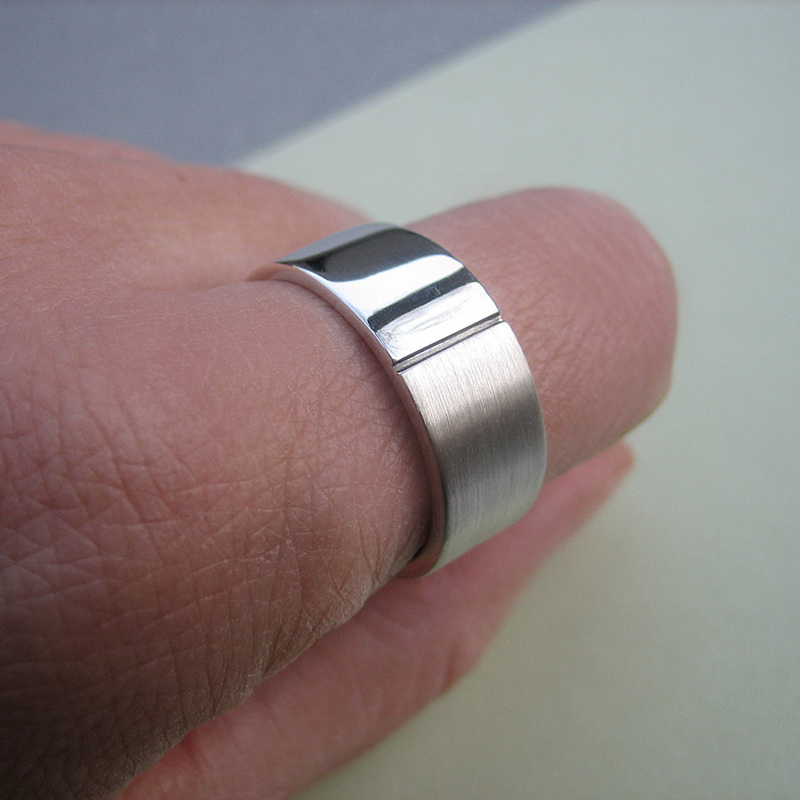 Simple, clean, understated, modern, Argentium silver ring. 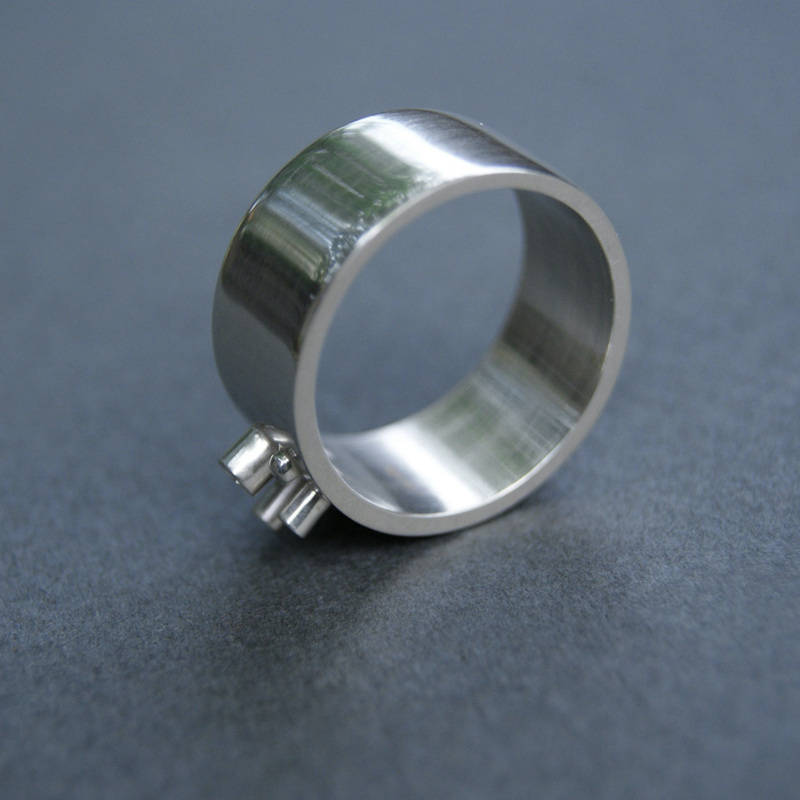 Shiny and Matte halves are separated by shallow vertical blackened etched lines.